* This entry was originally published on Inside PR. Scott Brooks is vice president, marketing and communications, for IBM Research. He talks to us about Watson, the computer-contestant on “Jeopardy” that defeated two of the show’s best players. 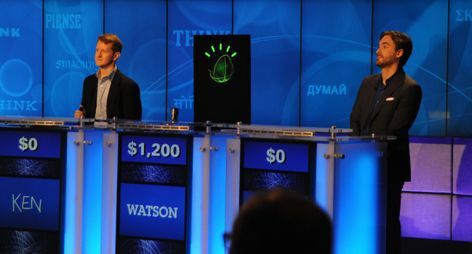 Watson’s technology is based on the concept of ‘automatic question answering’. A team of 25 people worked for years to improve the ability of computers to answer questions. When the communications folks saw the initial results, they realized the public relations potential to build awareness and contacted “Jeopardy!” to see if they might be interested in a man-machine competition. Getting an early start and narrowly targeting their prelaunch outreach was one of the strategies the communications group used to tell the complex story in long form. About 18 months before the matches, they approached three media influencers: New York Times Magazine to write a feature; PBS TV’s “Nova” to produce a documentary; and author Stephen Baker to write a book. The three had open access to Watson throughout its development. The biggest communications risk IBM faced was presenting Watson live on television and not knowing what the outcome would be. Brooks said they made big decisions early on that were game changers including what to name the computer, what kind of voice it would have and what it would look like on stage. Watson was actually named for the first president of IBM. Their strategy paid off, and Watson garnered prelaunch awareness and much traditional and social media coverage during the matches and after the win. The company created The Allstate Foundation, a not-for-profit organization, to fund cause-related programs in support of safe and vital communities, safe driving and ending domestic violence. In this case, they helped the community of Tucson, Ariz., build a playground in honor of Christina-Taylor Green, the young girl born on 9/11, who, along with 10 others, sadly lost their lives during the shooting that injured Congresswoman Gabrielle Giffords. Not long after the tragedy, The Allstate Foundation learned the community wanted to commemorate Christina’s short life, stepped forward and granted funding to build a playground at Christina’s elementary school, Mesa Verde Elementary School, and ensuring her classmates were involved throughout the project. 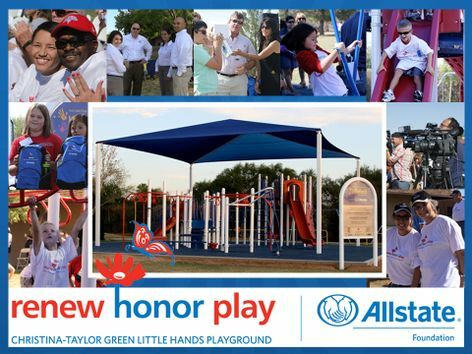 In addition to the funds, Allstate Foundation was active throughout the design and build, bringing in more than 100 volunteers and stood side by side with the community to help bring the Christina-Taylor Green Little Hands playground to life. What could have been a local story was picked up by local and national media, and it became an important milestone in the company’s history as they were able to involve the community, agencies and employees in a cause they really believed in.